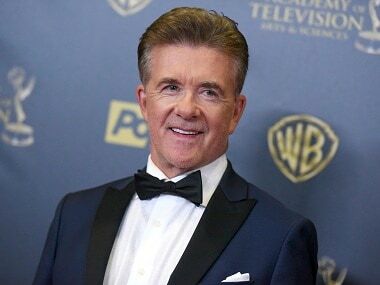 Los Angeles: Actor Alan Thicke, known for playing a quintessential father on television of the 1980s, has passed away at the age of 69, his manager has confirmed. He is the father of Blurred Lines hitmaker Robin Thicke. Thicke died on Tuesday after suffering a heart attack while playing hockey with his son Carter. He was taken to Providence St. Joseph's Medical Center in Burbank, California, where he died, reports variety.com. Thicke remained a consistent presence on TV in recent years with guest appearances on This Is Us and Fuller House. He also starred on the reality series Unusually Thicke, which focused on his personal life. As an actor, he was best known for Growing Pains, the family comedy show that aired from 1985 to 1992. Thicke played Jason Seaver, a psychiatrist and patriarch of a Long Island family. Born in Kirkland Lake, Ontario in 1947, Thicke attended the University of Western Ontario after graduating from secondary school. He hosted a game show, First Impressions, in Canada, as well as a talk show, The Alan Thicke Show. Thicke married his first wife, Days of Our Lives actress Gloria Loring, in 1970. The couple had two children, Brennan and Robin. Loring and Thicke divorced in 1984. In 1994, Thicke married former Miss World Gina Tolleson, who gave birth to Thicke's third son, Carter. The couple divorced in 1999. Then in 2005, Thicke married model Tanya Callau. He is survived by Callau and his three children. Robin Thicke, Paula Patton to file for divorce?